Five years have passed since Wellington wine-man of note Ken Kirkpatrick died. Ken was a highly accomplished and highly qualified PhD-level individual. He was the kind of man who gave you his full attention, and if you made a mistake, not only did he notice, but almost invariably he quickly made constructive suggestions about remedy. In his career he made great innovations in the researching and marketing of New Zealand dairy products, for the New Zealand Dairy Board. He went on to a Professorship in this area at Massey University, followed by time with The Foundation for Research, Science and Technology. His penetrating approach to issues then led to appointment as a policy advisor in the Prime Minister's Department. At his funeral, a colleague described how working with Ken often produced: �the slightly disconcerting sense that somehow Ken�s enormously talented brain is taking your conversation somewhere unexpected. I remember many a meeting briefly flummoxed by a lateral Ken connection � inevitably a relevant one, even if the rest of us didn�t always appreciate that straight away.�. On the wine front the great thing about Ken Kirkpatrick was that he was totally devoid of the snobbery and pretension that characterises so much wine talk, and so many wine people. He was a keen wine options player, for example, an approach which focusses on the wine rather than the label, and is thus anathema to the snobbish. His interest in wine was completely catholic, and the assessing of quality of achievement his primary concern. His cellar therefore ranged widely, from benchmark wines from the old European classics to many wines from emerging producers in the new world. The goal of this tasting is to offer a sampling of that approach, from wines he entrusted to me. The wines are (bar one) all from the 1990 vintage, one variously considered good to great round the world. It was a time when the old world had still not quite woken up to the new technological understanding about wine in the new world, and at the same time the new had not yet clearly achieved understanding of wine style and a sense of place, though California was rapidly closing in on that approach. The lead-wine of the tasting is 1990 Ch Petrus. It seems safe to say this wine has never before been offered in a �public� tasting in New Zealand. It is one of those wines now featuring on the lists of a certain class of journalist, under titles along the lines: 100 wines to try before you die. Current wine-searcher valuation is over $6,000 per bottle, so after a glance at the other labels, you will quickly see this tasting is a gift [ it was offered at $NZ110 ]. It is only fair to note that the 1990 vintage coincides more-or-less with the consolidation on the world wine-scene of American Robert Parker as a key influencer. This is a Parker 100-point wine, which immediately doubles its wine-searcher value. By the same token, it may be a bigger and bolder wine than European palates prefer. This is your opportunity to find out. And relative to the tasting fee: there IS a second bottle of the Ch Petrus, so you are pretty-well assured of a good sample. Alcohol: Note the alcohol values given, to the extent one can rely on labels, reflect an era before the world-wide Americanisation (that is, over-ripening) of red wines. In summary, the growing seasons for all our districts are rated good or better. For Bordeaux Wine Spectator rates 1990 well, describing the wines as: Opulent, well-structured and harmonious, 97. Broadbent comments: This was an abundant, exciting vintage, particularly for the Merlots which have enormous amounts of tannin, *****. For the Northern Rhone Valley, Wine Spectator comments are: massive and rich, with loads of tannin and fruit, 97. And Broadbent agrees: Despite drought the wines were, like those of the previous year, powerful and promising, if a little less aromatic, *****. For the Napa Valley, Wine Spectator says: A small crop but many deeply concentrated wines that have aged well, 89. Again Broadbent agrees: ... high quality, intense, deep-coloured wines, ****. Wine Spectator does not know about Australia in those times, but Broadbent notes: ... a coolish dry summer, South Australia ****. Halliday's marvellously detailed Vintage Chart for 1990 rates the Adelaide Hills 9, Barossa Valley 9, Clare Valley 10, Coonawarra 10, and McLaren Vale 10. The Henschke is Adelaide Hills, and the rest should cover Penfolds' multi-regional blends. Our wine from South Africa is 1991, for which Broadbent notes: High quality reds, particularly Cabernets, deep-coloured, concentrated and long-living, ****. For New Zealand Cooper rates the Auckland district 5/7, and Hawkes Bay 6/7. The Meteorological Service records that Auckland had an unusually dry February, and an 'average' autumn for March and April, not becoming unduly rainy till May. In contrast they note the East Coast as being unusually dry in autumn, and Te Mata confirm that in the vintage notes on their website, with 30mm of rain recorded in April. This special tasting turned out to be the most exciting I have been to in a long time. Firstly, there is the enormous thrill when you are opening wines valued at thousands of dollars, to find none showing TCA / cork taint, either on opening, or as is so often the case, becoming apparent a few hours later, at the tasting. Secondly, that 22 of Wellington's keenest wine people assembled to share in these 25-year-old bottles. Being a great vintage, nearly all the wines can fairly be considered at their peak. Thirdly, being a totally blind tasting, with a seven-point ranking questionnaire conducted before the wines are discussed and revealed, the simple fact that the 1990 Ch Petrus, valued by wine-searcher at $NZ6000-plus, and rated a 100-point-wine by Robert Parker, was not the top wine of the tasting, or even the second, has to be of interest. So there is a tentative moral there: once you have acquired the wine understanding to reconcile winewriters' often contrasting advice, be guided by the authorities, who taste so much more wine than any of us can, but in the end, buy wines / stock your cellar on your own palate analysis, namely wines that give you the most pleasure. 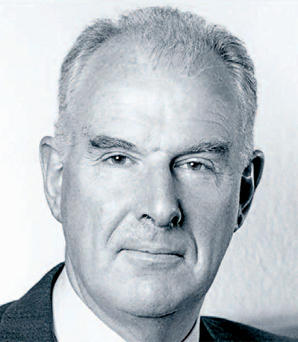 Broadbent, Michael, 2003: Michael Broadbent's Wine Vintages. Mitchell Beazley, London, 223 p.
Cooper, Michael, 1993: Buyer's Guide to New Zealand Wines. Hodder & Stoughton, Auckland, 274 p.
Halliday, James, 2002: Classic Wines of Australia and New Zealand. Harper Collins, Sydney, 386 p.
Parker, Robert M., 2003: Bordeaux, Fourth Edition. Simon & Schuster, New York, 1244 p.
Parker, Robert M., 1997: Wines of the Rhone Valley. Simon & Schuster, New York, 685 p.
Platter, John & Associates, 1996: South African Wines. Mitchell Beazley, London, 315 p.
Read, Adrian, & Andrew Caillard, 2000: The Rewards of Patience. Penfolds Wines, 144p. Multiple authors, wine reviews, ongoing by subscription: www.winespectator.com� = too many authors to list, but strong on Bordeaux and the Rhone Valley. This tasting was held in the Tasting Room of Regional Wines & Spirits, Wellington, a venue much frequented by Ken. The Wine Options photo (below the reviews) was taken by Sue Courtney, author of the website www.wineoftheweek.com, and reproduced with permission. Prices shown below are the current www.wine-searcher.com values for the 1990 vintage. Where no 1990 offered, 1989 substituted. ����������Competitions, Auckland, June 2004. 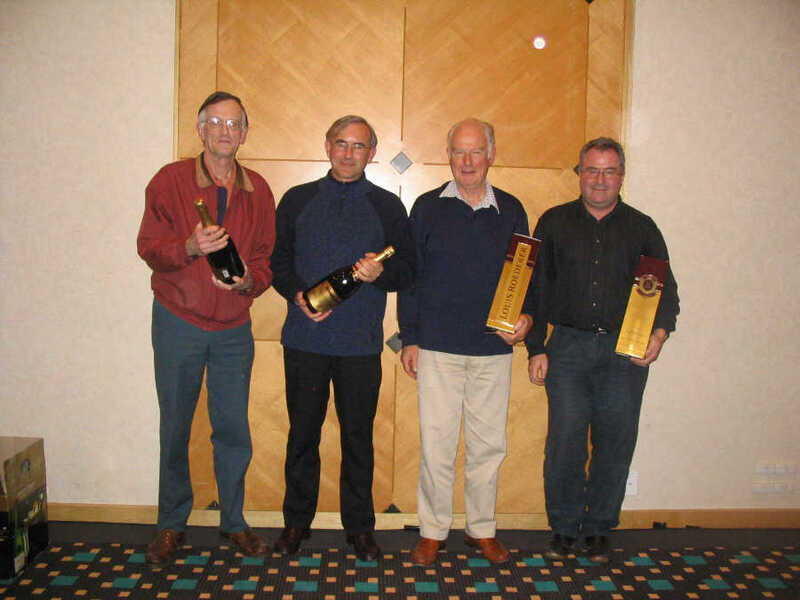 From left, Geoff Kelly, John Masters, Ken Kirkpatrick, Mike Parker. ����������Photo: Sue Courtney, with thanks.